The auto-lacing shoe has been around since 2017 when Nike sold its first generation sneakers for $720 (roughly Rs 51,000). The most expensive pair of shoe, it ever released didn’t live up to the future promises. Now in 2019, It brings the second generation sneakers at much less price. It seems like Nike’s decades-long dream turns into reality to create a self-lacing shoe. As per the Company, “These new sneakers are designed to provide a “truly customized fit for every basketball player”. Nike Adapt BB unveiled on Tuesday, tracks performance in real time, allowing the company to give weekend warriors athletic tips and also sell them more products. The shoes come with data-tracking capability. However, It present customers with a privacy option. If they opt not to share their data, they’ll miss out on a lot of the product’s capabilities, this is what Company meant. 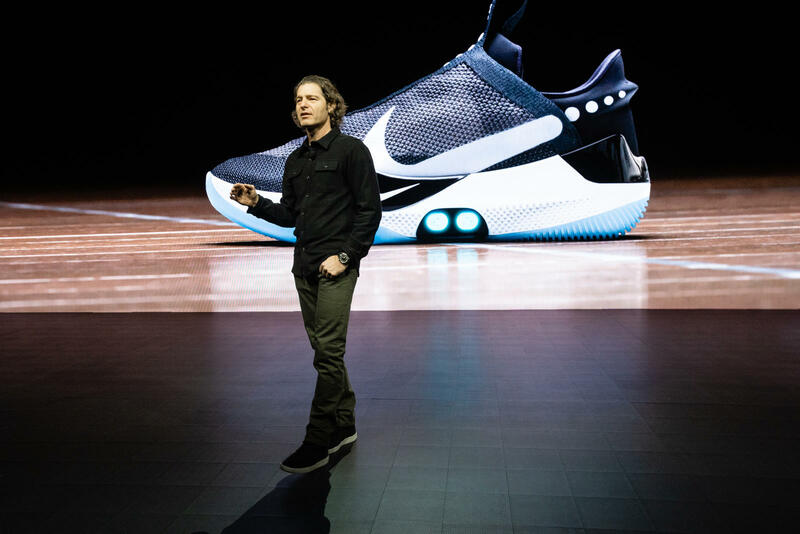 The sportswear giant is starting with basketball shoes as the first sport to showcase Adapt (and its FitAdapt tech) because of the demands that hoopers put on their shoes, says Eric Avar, Nike’s VP Creative Director of Innovation. The smart sneakers will give players the ability to quickly loosen (or tighten) their sneakers during a game. There are no laces as the shoe self-tightens to an athlete’s preference. Moreover, It is adjustable via a smartphone app. The smart sneakers carry sensors, accelerometers, and gyroscopes that can give Nike a full, personalized snapshot of its owner’s performance. After all, it is a tech product which requires power, so you need to charge it. 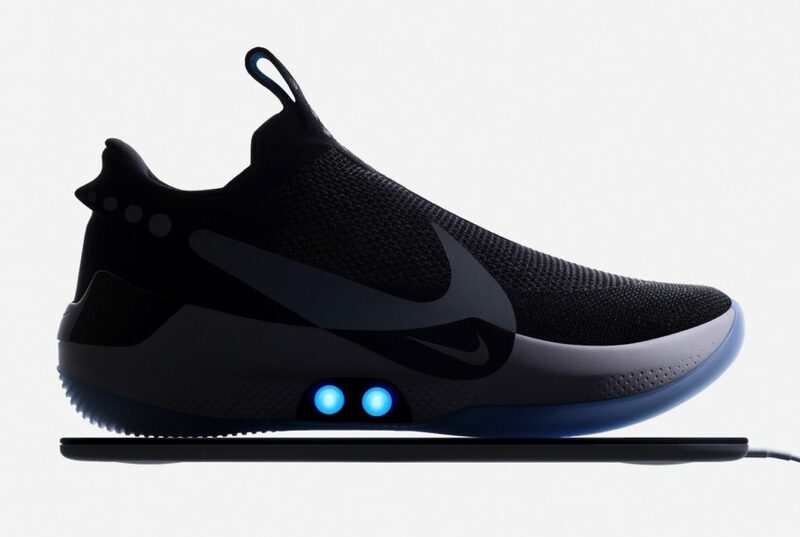 The shoes can last up to 14 days on a full charge, Nike claims. Furthermore, It takes about three hours for the full charge after you place them on a Qi wireless charging mat that comes with every pair. The price for the second generation self-tying shoe has been slashed down as compared to Hyperadapt 1.0. The previous pair was way more expensive. Coming on to Nike’s self-lacing shoe, Adapt BB has been unveiled at a price of $350 (roughly Rs 25,000). If you are willing to buy one for yourself, The pair of smart shoes is set to arrive at the beginning of February.